More than 50 percent of students in both cities and rural areas are involved in school violence, according to a study released this week. 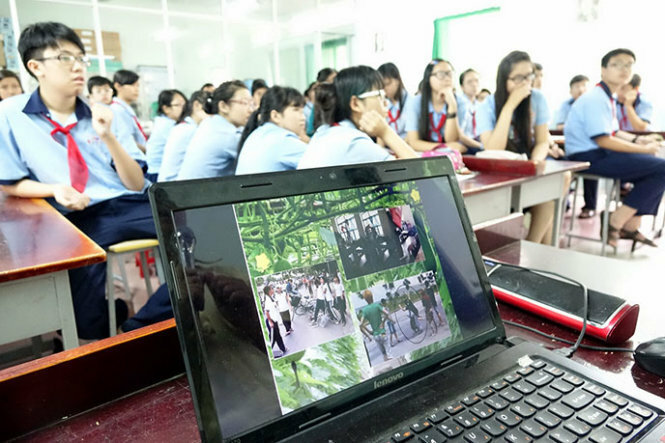 The research was done by Dr. Pham Minh Muc, from a research center under the Vietnam Institute of Education Sciences, and reported at a conference on reasons and solutions for school violence held by the institute in Hanoi on Wednesday. According to Dr. Muc’s study, among 11 behaviors considered to be school violence, 38.49 percent of the students surveyed agreed that the most common is insulting. Meanwhile, 38.49 percent thought school violence is a fight between two students and 35.32 percent chose scuffles between two groups of students. Some others which are less common are mugging, hiring people to beat a schoolmate or assaulting teachers. Meanwhile, the research showed that the most typical reaction of students under physical and mental school violence is keeping silent or asking for help from friends. There has been a lack of counseling from schools, parents, and psychological experts. Dr. Mac Van Trang, from the same institute, said the number of school violence cases is not as important as how serious they are. “We only had fights between schoolboys before, now we have seen more and more brawls between schoolgirls,” Dr. Trang said. According to Dr. Muc’s research, 60 percent of the causes of school violence often come from family and parent issues. Dr. Trang also said cruel fights between students can be the result of adults’ lifestyle, as well as violent games and movies. Dr. Nguyen Thi Thanh Mai from the education sciences institute said school violence is an expression of the crisis of adolescence when young people are easily affected by their living environment, and do not receive enough sharing, counseling and educating from adults. In addition, experts at the conference also mentioned the heavy school curriculum and the lack of healthy playgrounds and fondness from families as reasons for school violence. In Dr. Muc’s research, 80 percent of the people polled said it is an urgent need to have counseling rooms at schools for the problem. Though the model of consulting rooms has been adopted during the last few years, it has been not very efficient and has not become a must-do at schools either. At the conference, many experts concurred that there should be a legal framework for schools and educational management agencies to run psychological counseling courses in schools.